I know, I know. This recipe doesn’t have pumpkin or apple. But did you know red velvet was originally, traditionally, a Christmas dessert? 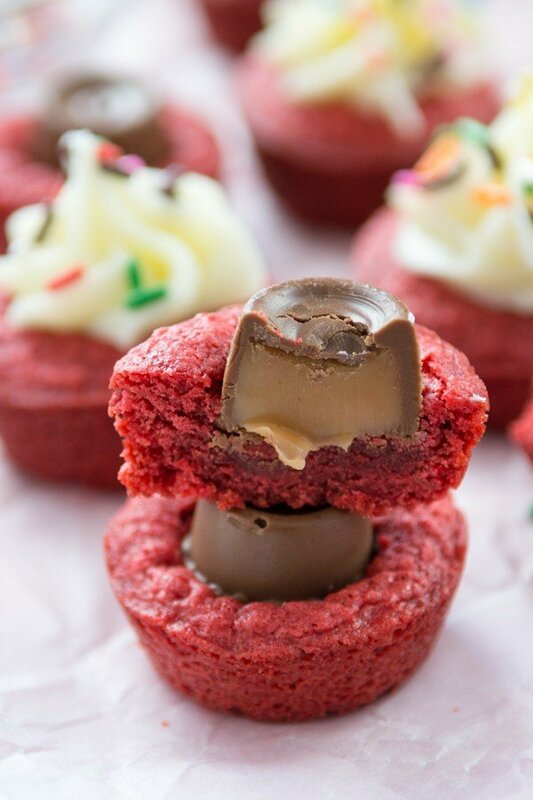 So really, these Red Velvet Brownie Cups are just ahead of the game. I’m getting you prepared for November and December. I pink puffy heart red velvet. Or should I say red puffy heart? Either way, I love it, and not just in cake. In fact, red velvet cake is probably my least favorite. 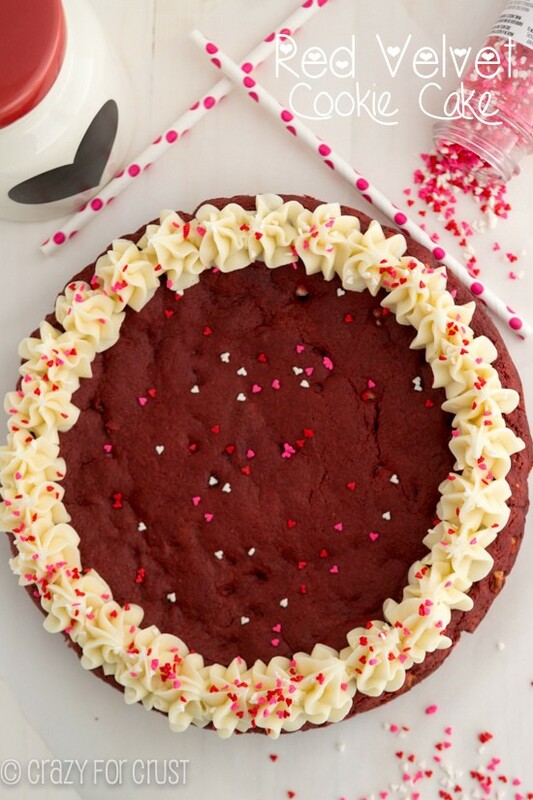 I love all the things you can make with red velvet. Like cookie cake and pretzels and molten lava cake and cheesecake cupcakes. See? The ideas are endless. And Deborah has them all covered (and then some!) in her new book. 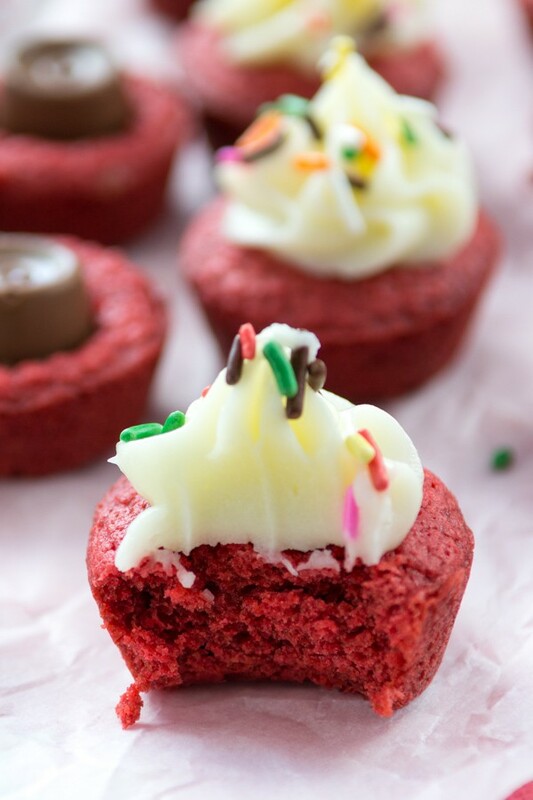 As soon as I saw these little Red Velvet Brownie Cups I knew I had to make them. One, I’m addicted to brownies. And two, I really, really love red velvet brownies. Plus, there’s cream cheese frosting. Who doesn’t love that? Oh, and because I’m me and couldn’t help myself, I topped some of the brownie cups with Rolos. Y’all love Rolos in cookie cups, so I figured why not use them in brownie cups? That was a very, very good decision. These brownie cups are easy to make. One bowl for wet ingredients, a bowl for dry, and no mixer needed. Just a quick stir and scoop into your mini muffin pan. The frosting is really good – very cream cheesy and not too sweet, the perfect compliment to the brownies. This is my new favorite brownie bite recipe…and my new favorite cookbook! 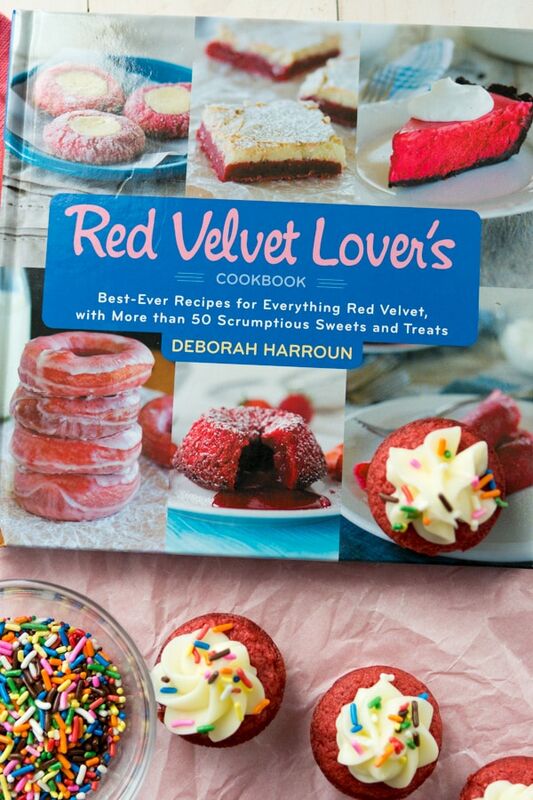 It’s a must for anyone on your list who loves red velvet! And make these with the Rolos too. OMG! These little brownie cups come together fast and easy and are the perfect pop-able treat. 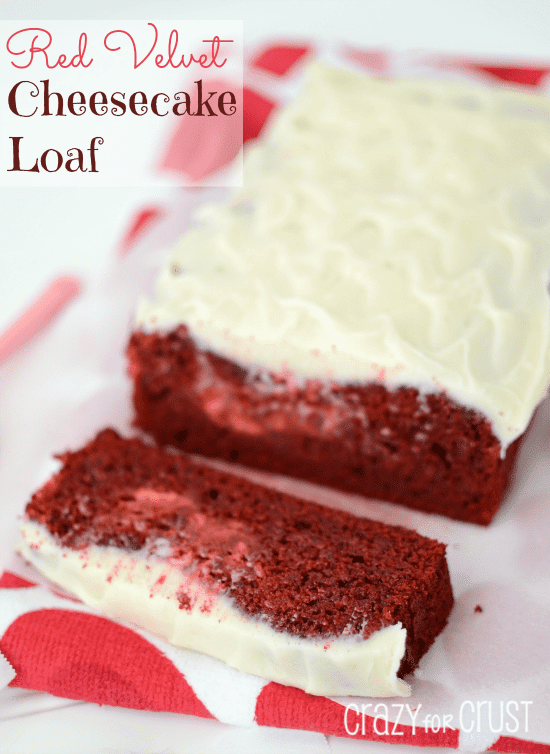 Top them with cream cheese filling for a traditional red velvet flavor or place a caramel candy on top for an easy, shareable dessert. Preheat oven to 350°F. Spray mini muffin pans with cooking spray (or line them with liners). Whisk the flour, baking powder, salt, and cocoa in a bowl to combine. Mix the melted butter and brown sugar in a large bowl. Stir in the egg, food coloring, and vanilla. Stir in the dry ingredients. Place about 1 tablespoon of batter into each muffin cavity. Bake until the brownies are set, 8-12 minutes. The brownies should naturally fall in the centers when you take them out of the oven, but if they don’t you can press down the centers with the handle of a wooden spoon. Cool completely in the tins. To make the filling, beat the cream cheese and butter until smooth. Gradually add in the powdered sugar and beat until smooth. Place the filling in a pastry bag fitted with a star tip (or a 1M tip). Remove the brownies from the tins and pipe the filling into the cups. Store the brownies in an airtight container in the refrigerator. I puffy pink heart (or red heart) red velvet too!! Definitely need to get this cookbook! 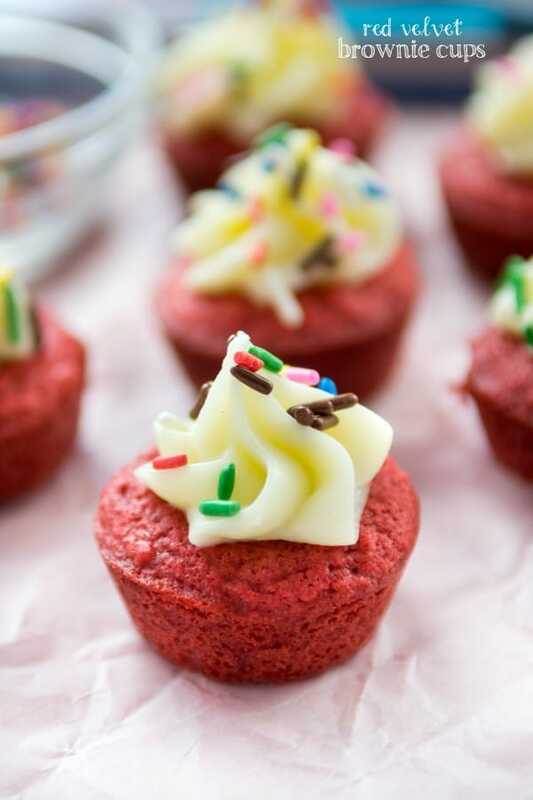 Ohhh, I love these little red velvet brownie cups!! 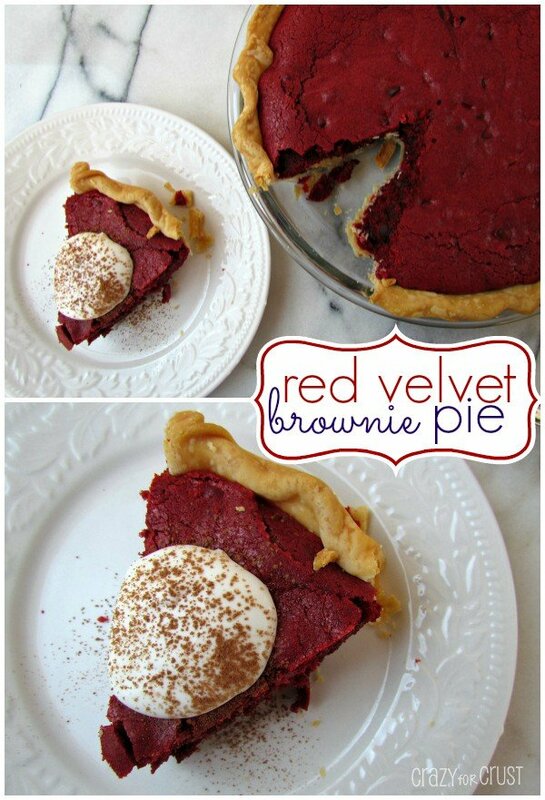 And all of your other red velvet desserts listed, yummmmmm! I’m totally drooling now! 😉 And yay for all of the fun cookbooks going on! !